At the core of Period Architecture are its people. Each member of the practice embodies time-honored design principles, classic detailing, and exquisite craftsmanship. Well-versed in historic styles and guidelines, the firm specializes in traditional, period-inspired design. The character of a region is considered and architectural traditions of the past are united with contemporary lifestyles and technology. New architecture appears to be old while state-of-the-art in every respect. 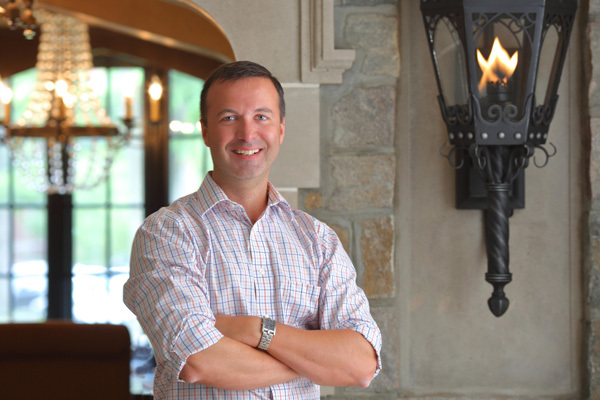 Joe Mackin, co-founder and president of Period Architecture, is long-inspired by the historical and regional architecture of his native Pennsylvania, and also by the resurgence and appreciation of classical and traditional forms. Fascinated with building things from an early age and determined to become an architect by the age of eight, the field of architecture is Joe’s natural element. During his professional career before co-founding Period Architecture, Joe spent time at several well-known firms contributing to commercial, institutional, and residential projects that ranged in size and scope. 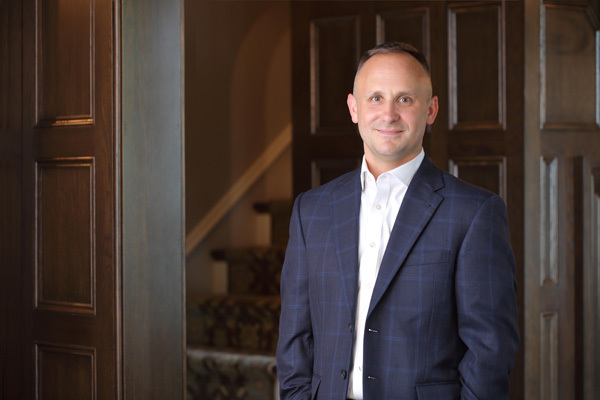 Joe chose to focus on residential practice because of the opportunity to work at a very detailed and intimate scale while collaborating with homeowners who are personally invested in and direct recipients of the process. Joe holds a National Council of Architectural Registration Boards (NCARB) certificate that allows reciprocal registration to practice in any state. He resides with his family in Chester County, Pennsylvania. An avid runner, Joe enjoys being outdoors, and enters races as his schedule allows. Jeff Dolan, co-founder and vice-president, brings a pragmatic approach to Period Architecture’s thoughtfully planned, well-appointed, comfortable living spaces. Jeff’s technical expertise is matched by his problem-solving capacity in both design and management. Vernacular architecture is a particular passion and Jeff’s appreciation of detailing, materials, and traditional construction techniques are evident in every Period Architecture project. Creating design solutions that articulate the client’s vision is what excites Jeff about his work every day. The anomalies and character within traditional building continually inspire his inventiveness and creativity and also extend to Jeff’s interest in landscape design and property planning. An outdoorsman who also enjoys numerous athletic pursuits, Jeff lives with his family in Delaware County where he is renovating his own period home. 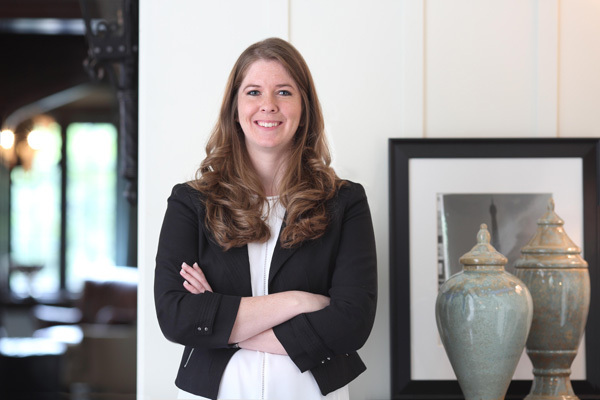 Originally from Indiana, Jessica’s early aspirations to become an architect led her to Ball State University. 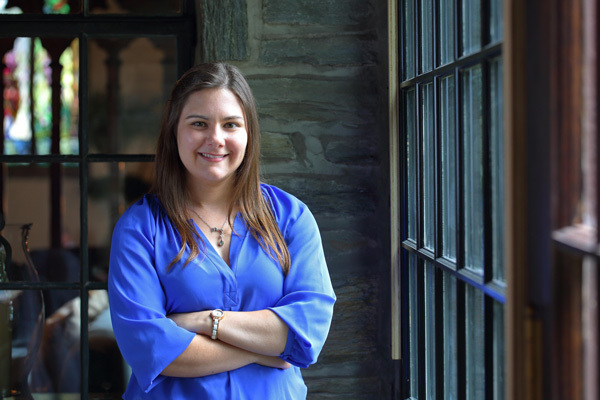 A skier, hiker, and golfer, Jessica lives in Chester County. She is a contributor of landscape and architectural photography to numerous shelter magazines. Doug Mancuso is the steward of intricate details that give each Period Architecture design its inimitable style, quality, and tailor-made appeal. 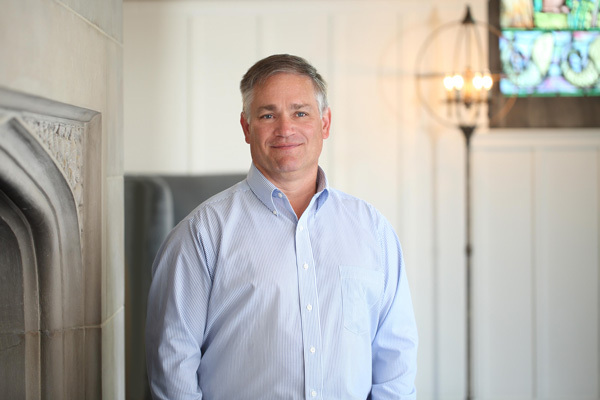 With 20 years of experience in bringing his meticulous style to high-end, traditional, residential architecture, Doug oversees the documentation of the firm’s projects and manages the production of larger designs. Inspired by history and its influence on modern aesthetics and processes, Doug honors traditional design elements by modifying them to work for today’s lifestyle. “What we think is beautiful today is directly related to the capabilities, scales, and proportions that were established hundreds or thousands of years ago,” says Doug. “Our work allows us to be guided and informed by these principles, while interpreting them to function for 21st century living.” Throughout his career, Doug has been part of several award-winning, published, and industry-recognized projects. Sparked by a seventh grade mechanical drafting class, Doug’s architectural ambitions led him to Philadelphia University. A fervent car enthusiast, Doug lives in Park City, Utah, where he enjoys playing hockey, mountain biking, snowboarding, and hiking with his wife, Rachael, and his Vizsla. In his role as project architect, Kyle Gresh focuses on seeing designs through from start to finish. 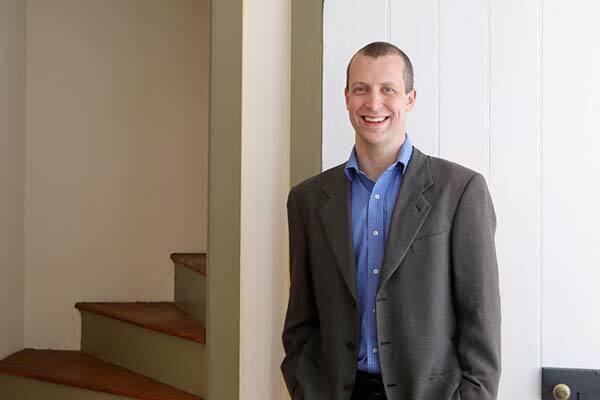 With a keen eye for detail, Kyle shepherds the myriad pieces of complex plans to ensure they seamlessly come together to create memorable experiences and exquisite homes for Period Architecture clients. A natural relationship-builder, Kyle is able to unearth and articulate homeowner’s unique wants and needs to bring their dream home to fruition. 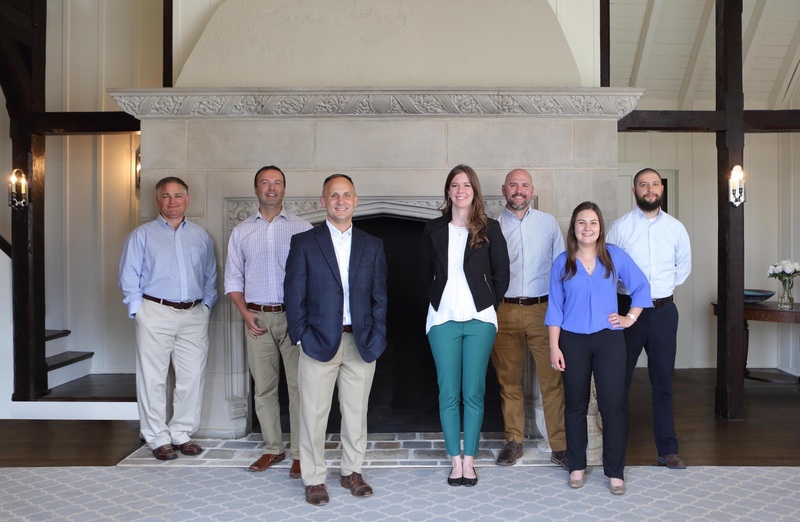 After graduating from Temple University, Kyle spent several years at firms in Philadelphia and the surrounding areas until joining the Period Architecture team in 2015. He draws much of his inspiration from his world travels. “Seeing how people live in such varied areas, in everything from straw huts to houses built hundreds of years ago, has affected how I view the vernacular architecture here in our country, and specifically here in Pennsylvania,” says Kyle. Kyle lives in Exton, where he can usually be found biking, running, hiking, kayaking, and otherwise enjoying the great outdoors with his beloved rescue dog, Ginger. 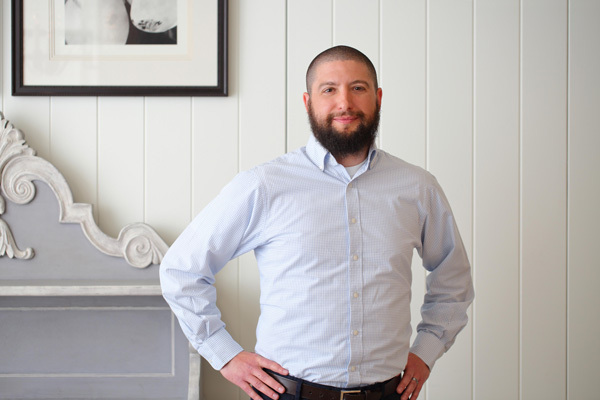 Michael Chady is the project architect behind many of the firm’s designs, from delicate, period-appropriate restorations to new builds suffused with a historic sense of time and place. 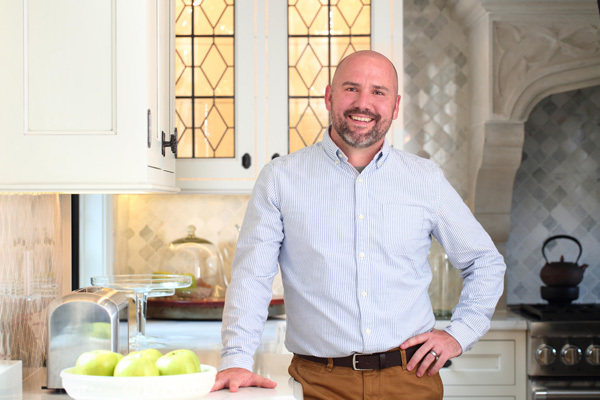 Michael plays a fundamental role in creating Period Architecture’s stately and well-appointed homes, including budgeting, managing construction, creating detailed cabinetry drawings, and more. His impeccable sense of detail and sophistication, appreciation for the local vernacular, and passion for how architecture influences one’s lifestyle drives much of his work. “One of the best parts of residential architecture is meeting with clients directly and learning things about them that they might not even know themselves,” Michael says. Michael’s childhood affinity for architecture led him to Drexel University, where he spent time studying French design and engineering in Paris. “It was like reading a history novel through architecture,” he recalls. Prior to joining the Period Architecture team, Michael honed his impressive repertoire of skills with projects in coastal New England and New York. An avid runner, Michael lives in King of Prussia, where he and his wife often spend their weekends hiking with their rescue Greyhound. An avid student of the vernacular architecture of historic and period structures, Jamie is motivated by a desire to better understand how people lived and how homes have transformed over time to meet their needs. Jamie is expected to graduate Drexel University in Spring 2018. She currently lives in Montgomery County where she enjoys hiking and nature walks, reading, and baking. Project architect Brad Kline brings 30 years of experience – 12 at the helm of his own design/build firm – to his exacting and astute work at Period Architecture. Hailing from a family of builders, Brad was always fascinated by design and construction, and calls upon his broad expertise to fashion high-quality, thoughtfully-crafted homes. With a well-trained eye and vast knowledge of aesthetic and structural principles, Brad is able to envision and execute on every stage of a project, from drafting and design through building and finishing. “I particularly enjoy collaborating with clients, which transitions into the integration of design, to the technical aspects of creating two-dimensional drawings, and ultimately transforming into three-dimensional architecture,” Brad says. From the technical to the artistic, Brad is motivated and inspired by the sheer diversity of activities and responsibilities he tackles on any given day and project. A Penn College graduate, Brad currently resides in Selinsgrove. Outside of architecture, his passions include hiking, camping, boating, and Boy Scouts.